Down load the Course Outline detailing the topics that will be covered per module. The cost is R20 000.00/ person (incl. VAT) and groups of a minimum of 5 are charged at R15 000.00/ person. Discounts will be considered with motivation. 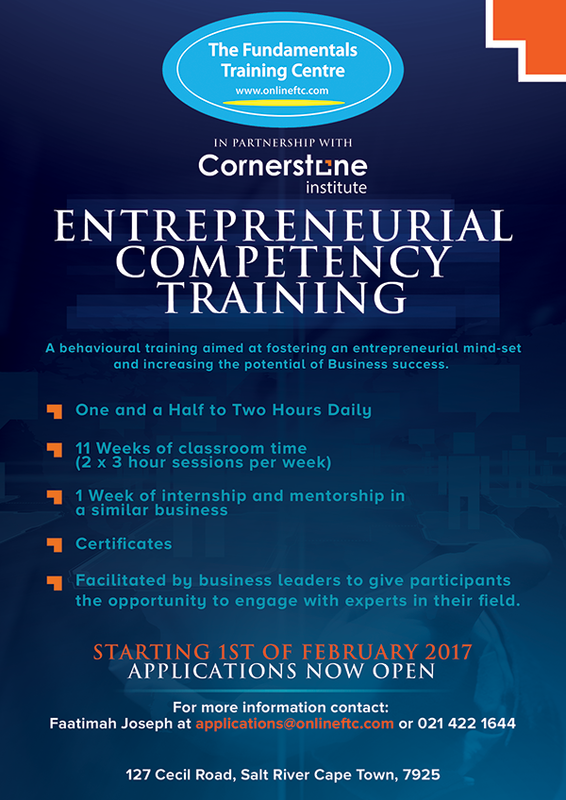 Register now: Download the APPLICATION FORM or email: applications@onlineftc.com and earn credits towards a Higher Certificate in Business Leadership or Bcom degree at Cornerstone Institute.